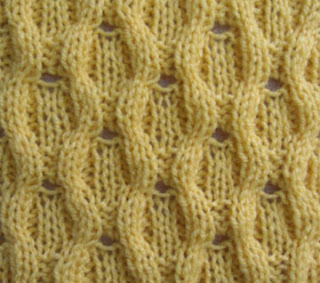 WeasiesWorks: Acorn Stitch or now called "Textured Acorn Stitch"
Acorn Stitch or now called "Textured Acorn Stitch"
In DK weight, this stitch has lots of bounce with a lot of vertical stretch. It is good for hats, sweaters, cup cozies, leg warmers and anything where stretch is important. It might have too much thickness for socks, though. 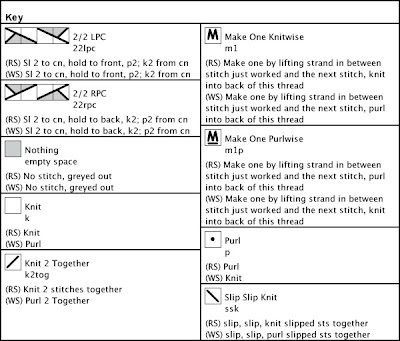 *For using this stitch pattern in a garment, that will have a seam, it's advisable to add an extra end stitch at each side. But for garments in the round, you will just have to keep with multiples of 10. 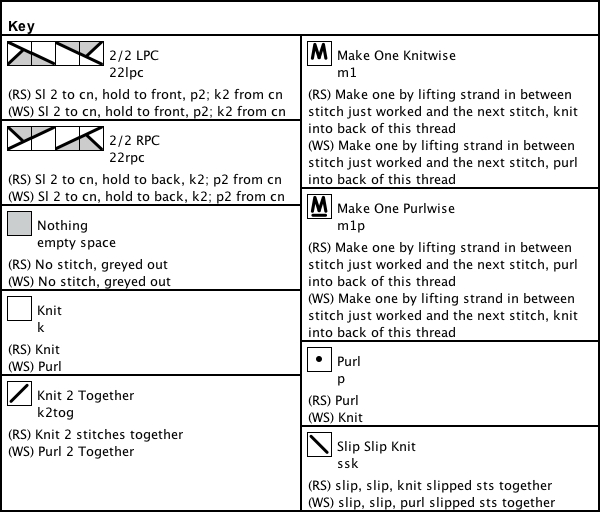 When reading the chart, please keep in mind that /'s and \'s equal 2 stitches each. M's and M's create a stitch where none was before. 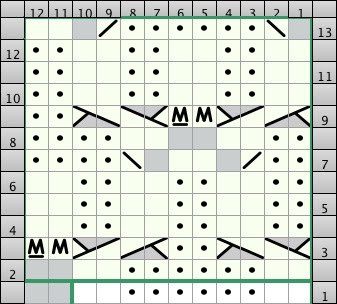 The green boxes represent the repeated patterns for each row, and the _x's in the written instructions, represent the number of times a pattern is repeated (I leave them blank to emphasize they are adjustable). Cast on multiples of 10 stitches. Chart has 20 stitches, but is increased to 24, as every acorn will add 2 additional stitches on the 3rd row and every 6th row, thereafter. The extra stitches are removed in the 7th row, and every 6th row, thereafter.